The coin was available for purchase from the U.S. Mint from September 19, 1997, through December 15, 1998. The coin was authorized to commemorate the sacrifice of law enforcement officers and their families in preserving public safety. 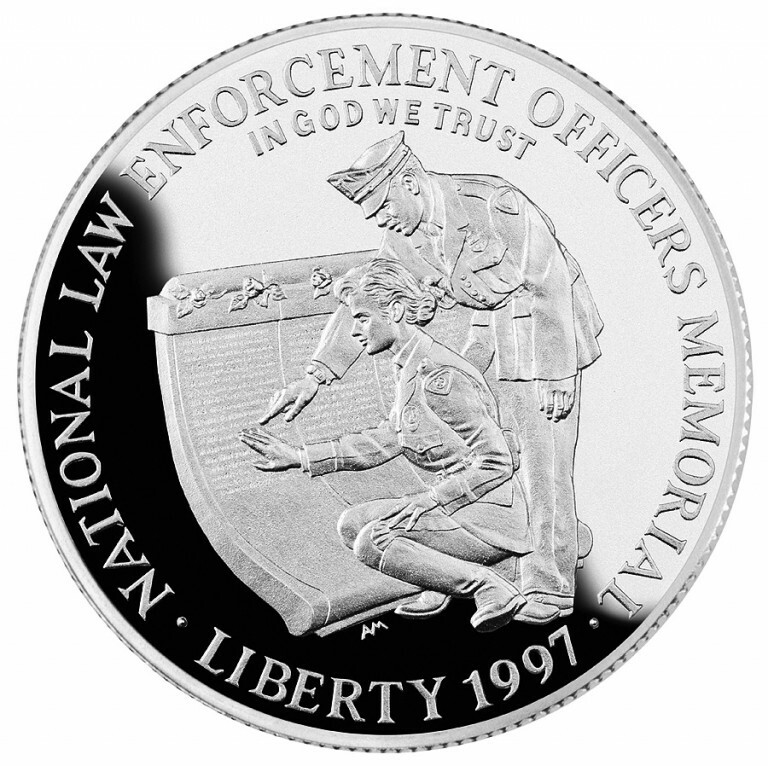 The coin’s obverse is based on a photo by Larry Ruggeri showing two officers – U.S. Park police officers Robert Chelsey and Kelcy Stefansson – taking a rubbing of a ellow officer’s name from the National Law Enforcement Memorial wall. 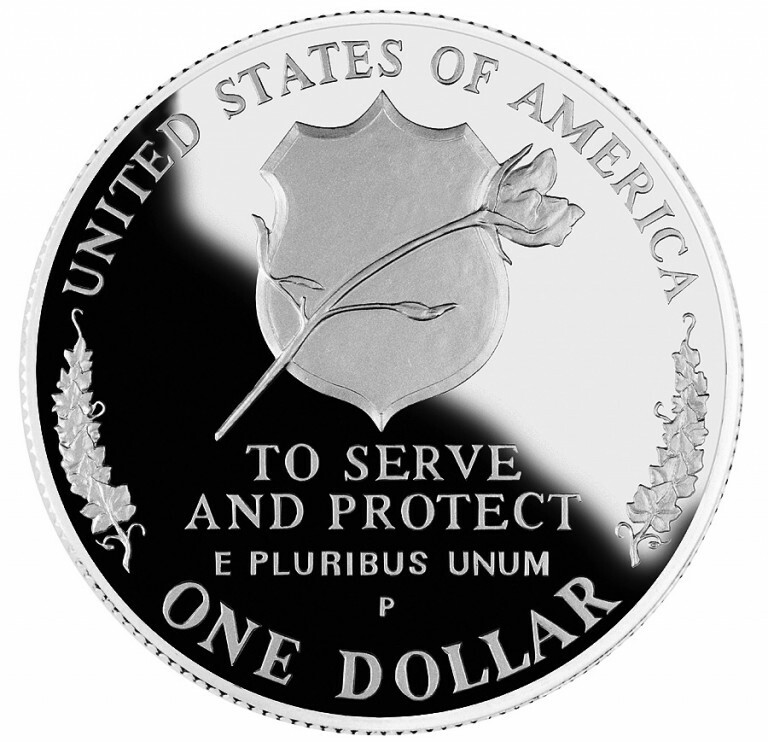 The coin’s reverse shows the official Emblem of the National Law Enforcement Memorial, a shield and a solitary rose. The shield represents all law enforcement officers, and the rose is emblematic of the officers’ sacrifice and dedication. Artist Alfred Maletsky has sculpted the obverse of the 1994 Prisoner of War Silver Dollar and the reverse of the 1995 Civil War Gold Five Dollar, as well as the obverse of the 1997 Jackie Robinson Silver Dollar. The coin was authorized on October 20, 1996. A $10 surcharge per coin benefited the National Law Enforcement Officers Memorial Maintenance Fund, which maintains a memorial to fallen officers as well as a scholarship fund for those officers' families. The obverse is a depiction of a photo by Larry Ruggeri. The coin's reverse shows the official Emblem of the National Law Enforcement Memorial.